Over 22 out of 77 colleges in the Delhi University are running without a permanent principal. The University Grants Commission (UGC) has issued a warning to 21 colleges under the Delhi University, saying their financial grants will be withheld if they do not appoint full-time principals. 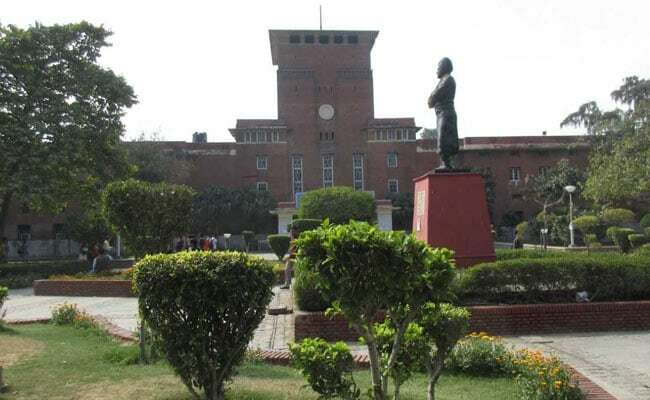 Over 22 out of 77 colleges in the Delhi University are running without a permanent principal, irking the teachers' association of the university which has been demanding streamlining of the appointment process. "As per the latest available update, it has been noticed that many colleges have not complied with the directives of MHRD (Ministry of Human Resource Development) or UGC to appoint regular principals. The colleges are once again requested to expedite the process of selection of a full-time regular principal in your college. "Further, they are hereby requested to inform the date of interview for the post of the Principal latest by August 31 failing which the UGC will be constrained to withhold the release of further grants," UGC Secretary Rajnish Jain told reporters. After the issuance of the notice, only one college has appointed a regular Principal while some others are in the process of doing the same, Mr Jain said. "If they do not do so in the given time frame, then their grants and benefits will be stopped. A full-time principal ensures having a good administration and maintaining an academic environment," he added. The colleges which are operating without a permanent principal include prestigious institutions such as Hindu college, Sri Ram College of Commerce, Kirorimal College and Kamla Nehru college, which are either being supervised by an acting principal or an officer on special duty (OSD). At the Hindu College, the post of principal has been vacant for the past few years, and is currently held by an acting principal.